Anyone who has seen the popular mini-series or read the book by Stephen King called The Stand, which gives a fictionalized account of a post-apocalyptic world in which most of humanity is wiped out due to the escape of a man made virus, then what we are about to tell you will make you wonder if Stephan King had some kind of foresight into what would eventually happen in this world. There is now an absolutely real plague of an almost unbelievable magnitude coming to this country and it’s all thanks to a deranged scientist that based in Wisconsin, who has managed to successfully manufacture a deadly flu strain that bypasses the immune system of human beings. This scientists name is Yoshihiro Kawaoka and he works at the University of Wisconsin-Madison (UWM). He is paid to deconstruct viruses so that they can be reassembled into more lethal strains of the same virus. Think of it as someone taking apart cars and then putting them back together to make a more powerful car that can kill more people when it hits them. Dr. Kawaoka has managed to manipulate the H1N1 flu virus so that it will be able to completely evade, or outrun, the immune system. This means that humans will have absolutely no chance to fight this virus and it will most likely lead to the death of those who are infected. This is according to an independent report posted in the UK’s Independent. This is not the only case of virus manipulation either. There have been similar experiments performed with the infamous Spanish flu virus of 1918 that killed millions of people, as well as the avian flu. All of these experiments that are being conducted in Dr. Kawaoka’s lab, which was paid for with American taxpayer dollars at about a 12.5 million dollar cost, are being done at a Biosafety Level -3 Agriculture protection level. This is just one notch below the highest level, Level-4, which is reserved for the most dangerous known pathogens, such as Ebola. However, this latest work occurred at the lower biosafety level-2 lab, which many critics claim is extremely dangerous as well as highly irresponsible. Although scientists say that the reason they are conducting such experiments is to discover exactly how viruses mutate so that they might develop effective vaccines, the potential for this deadly virus, as well as the others they are working on, to escape the lab and be distributed to the general public, is an absolute possibility. This fact is demonstrated by the recent anthrax scare that occurred at the Centers for Disease Control and Prevention laboratory near Atlanta. 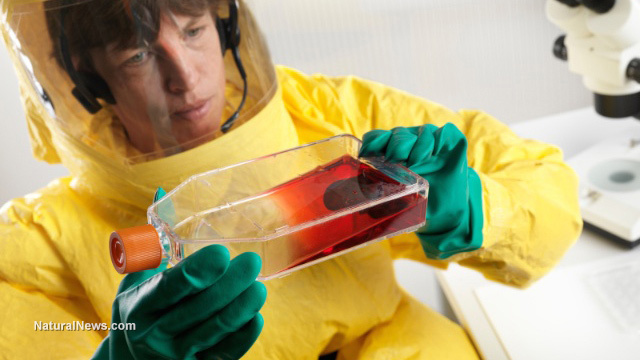 This scientist took the pandemic flu virus from 2009, selected some of the strains that were not killed off by human antibodies, and kept repeating this process until he came up with this new deadly strain of the H1N1. It’s now a pandemic strain that would be highly resistant to even vaccinations. Although Dr. Kawaoka states that his research is not a threat to anyone, and that everything must first pass through a 17 person biosafety committee before anything takes place, not everyone on this committee is in agreement with his program. One Professor, Tom Jeffries, states that he was never told that the current work that Dr. Kawaoka was doing would involve the H1N1 virus. In discussing the situation, one independent commenter, who was quite outraged, used the Latin legal term “Hostis humani generis”, which means “the enemy of mankind”, in describing the work that Dr. Kawaoka was doing. There have been others that have expressed similar sentiments, insisting that these types of experiments much stop happening, especially in the name of science.